The newest addition to the space station’s menu, Orange Blackberry Croissant Casserole, launches on the SpaceX CRS-16 mission on December 4, 2018. It was developed by a team of high school students for the 2018 NASA HUNCH Culinary Challenge. 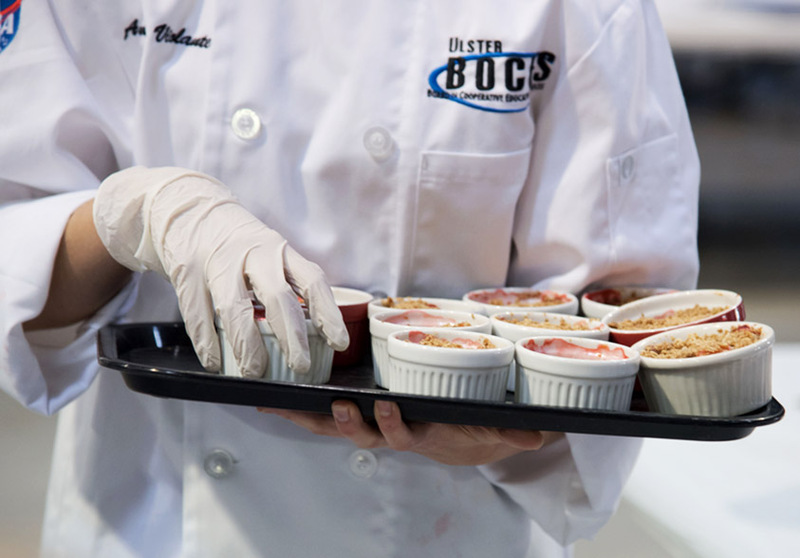 Judges evaluate the entries based on nutrition, taste, and the ability to retain good taste and texture after being processed and packaged for flight. 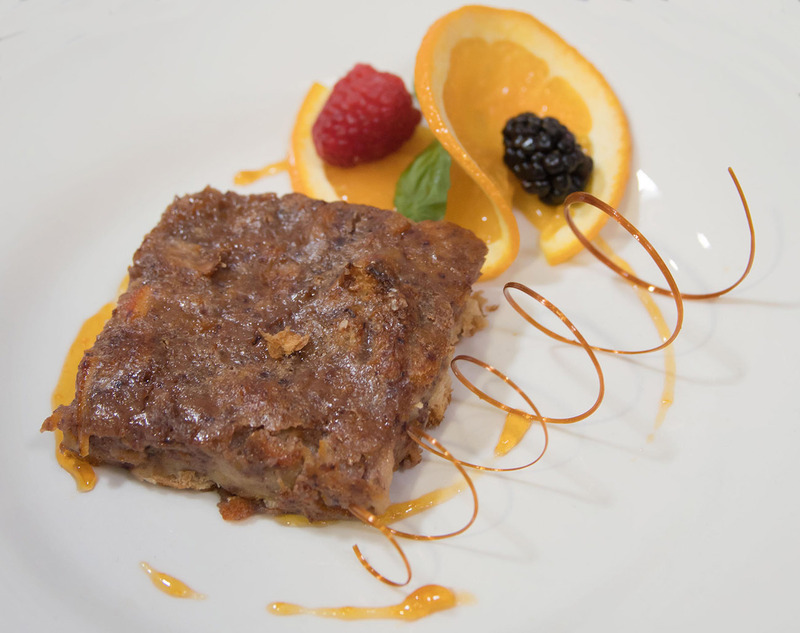 This year’s breakfast dish had to be between 200-400 calories, have at least 2 grams of fiber, and could not exceed these maximum amounts: 13 grams fat, 4 grams saturated fat, 250 milligrams sodium, and 12 grams sugar. NASA’s “High-school students United to Create NASA Hardware” (HUNCH) program empowers and inspires students through project-based learning. High school students learn 21st-century skills and have the opportunity to launch their careers through participation in the design and fabrication of real-world products that benefit NASA astronauts. There are several categories of HUNCH projects including hardware, softgoods (sewn items), and culinary. 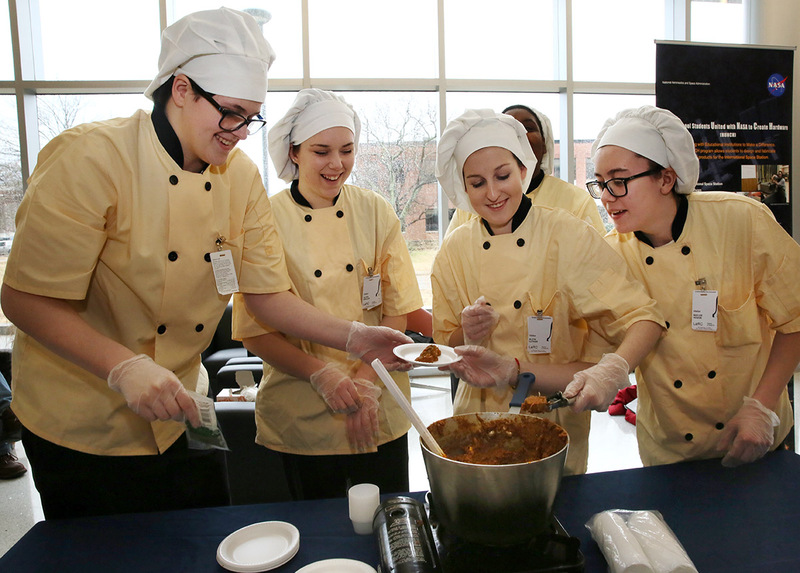 NASA HUNCH has held the Culinary Challenge for the past four school years, announcing the winners each spring. Each year the challenge is different. 2014-15 Any Entrée. Winner: Jamaican Rice and Beans. Launched on SpaceX CRS-8, 04/08/2016. 2015-16 Vegetarian Entrée. Winner: Red Pepper Risotto. Launched on SpaceX CRS-10, 02/19/2017. 2016-17 Dessert. Winner: Strawberry Rhubarb Crisp. Launched on OA-8, 11/12/2017. 2017-18 Breakfast. Winner: Orange-Blackberry Croissant Casserole. Will launch on SpaceX CRS-16, 12/04/2018. 2018-19 Fruit or Vegetable Side Dish. Winner will be announced in Spring 2019. 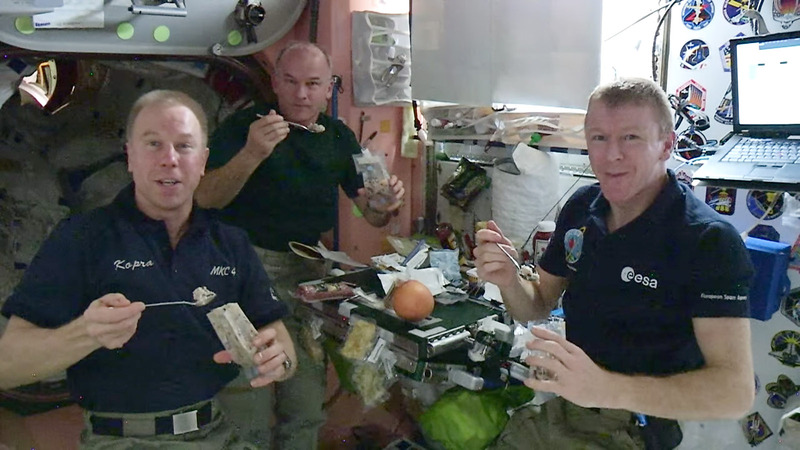 NASA makes the winning recipes available to the public. These are the versions of the recipes that work in a regular home kitchen—before food scientists at NASA’s Johnson Space Center modify them to meet requirements for flight readiness and shelf life. Tear the croissants into bite size pieces and place in a greased 13″ x 18″ pan. In a bowl, whisk eggs, half & half, coconut milk, and extracts; then add and combine marmalade, preserves, and zest; mix well. Cover and refrigerate overnight if needed (optional). Preheat oven to 350 degrees. If casserole was refrigerated, remove from refrigerator while oven heats. Sprinkle the turbinado cane sugar over the top. Bake, uncovered, 20-30 minutes or until a knife inserted near the center comes out clean. Let stand 5 minutes before serving. Top with fresh berries. In a mixing bowl, whisk together flour, oats, coconut sugar, sugar and salt, breaking any clumps of sugar. Add butter/margarine blend and vanilla and rub into mixture until it comes together in crumbles and no clumps of butter remain. Transfer to refrigerator while preparing filling. In a mixing bowl, toss together strawberries and rhubarb. In a liquid measuring cup, whisk together orange juice, orange zest and cornstarch until well blended. Pour in to mixing bowl with strawberries and rhubarb; toss together again. Spread mixture evenly in to a 3-quart baking dish. Remove crumble from refrigerator and sprinkle evenly over the top. Bake in preheated oven for 40-45 minutes until the juices bubble and the crisp is golden brown. In a saucepan, warm the vegetable broth over low heat.Warm 2 teaspoons chili confit in a large saucepan over medium-high heat. Add rice, stirring to coat with oil for about 2 minutes. When the rice has taken on a pale, golden color, add ½ cup broth to the rice, and stir until the broth has been absorbed. Continue adding broth ½ cup at a time, stirring continuously, until the liquid is absorbed and the rice is al dente, about 15 to 20 minutes. Remove from heat, and stir in edamame, pignoli, basil leaves, Asiago cheese and red pepper puree. Place the risotto in the bowl and garnish with edamame, pignoli, and Asiago. Decorate the plate with pepper purée. Cover with several inches of water and soak overnight – or boil gently for 3 minutes, then remove from heat, cover, and allow to sit undisturbed for 1 hour. Bring to a boil with coconut milk. Cover, reduce heat, and simmer for 1-1/2 to 2 hours or until beans are tender and creamy. Check the level of liquid over the rice and make sure there is at least one inch of liquid (if not, you may add boiling water or boiling coconut milk).